GOES-R, S, T & U represent the fourth generation of geostationary weather satellites operated by the National Oceanic and Atmospheric Administration (NOAA) in a collaborative effort with NASA. 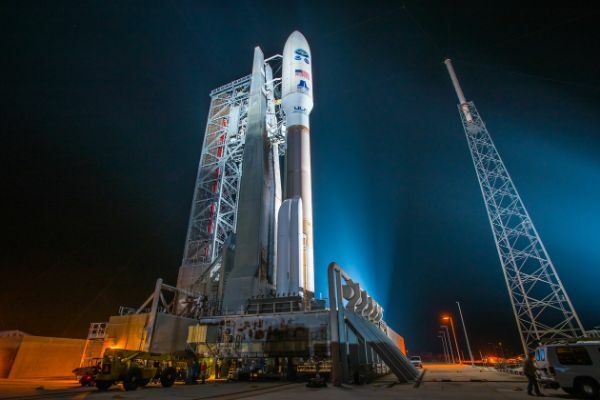 The satellites are considered the most powerful meteorological spacecraft ever built and host a newly defined sensor complement offering superior data acquisition time and quality for enhanced monitoring of weather across the American continent. GOES (Geostationary Operational Environmental Satellite) dates back to 1975 when the first GOES Satellite was launched, based on the Synchronous Meteorological Satellite Program that launched a pair of spacecraft in 1974 & ’75 following a series of pathfinder missions beginning in the mid 60s to demonstrate the feasibility of operating weather satellites in Geostationary Orbit. Three SMS-derived satellites were flown before the first generation of GOES debuted in 1980 and launched five satellites until 1987 followed by five second generation satellites launched between 1994 and 2001. The current GOES constellation is comprised of three third-generation satellites launched in 2006, 2009 and 2010. The next-generation program began at the beginning of the decade with the formulation of objectives and requirements for the new instrumentation for the GOES-R-class satellites that will operate into the 2030s to deliver critical data that finds use in a wide range of areas beyond weather forecasting. Overall, GOES-R and its successors deliver vastly improved observation capabilities in key areas such as temporal image refreshment rates, ground resolution, spectral quality both in resolution and coverage, and radiometric sensitivity. The third generation geostationary weather satellites collect critical atmospheric, hydrologic, oceanic, climatic, solar and space data. Specifically, the prime objectives of the GOES-R-class are first and foremost to continue the reliable environmental monitoring and storm warning system to protect life and property, monitor relevant parameters for surface, space and climate monitoring, adding new capabilities for atmospheric and oceanic studies, and improving the existing data dissemination structure to permit the development of new applications and data products for use by a wide range of federal agencies, local governments and private entities. 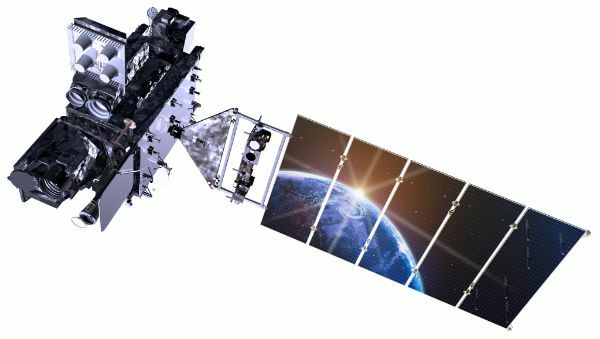 Beyond improvements to the instrument payload, the next-generation of satellites introduces more capable direct services facilitated by GOES Unique Payload Services including the GOES Re-Broadcast, Search and Rescue functions, Data Collection System support, Low Rate Information Transmission and EMWIN (Emergency Managers Weather Information Network). Operating from Geostationary Orbit, the GOES satellites deliver full hemispheric coverage, acquiring and distributing global and regional environmental imagery as well as specialized meteorological, climatic, terrestrial, and solar-geophysical data. The new satellites are built for an operational life of eight years plus six years of on-orbit storage/spare capability. The four GOES-R-class satellites (R, S, T & U) are expected to provide operational services through 2036. 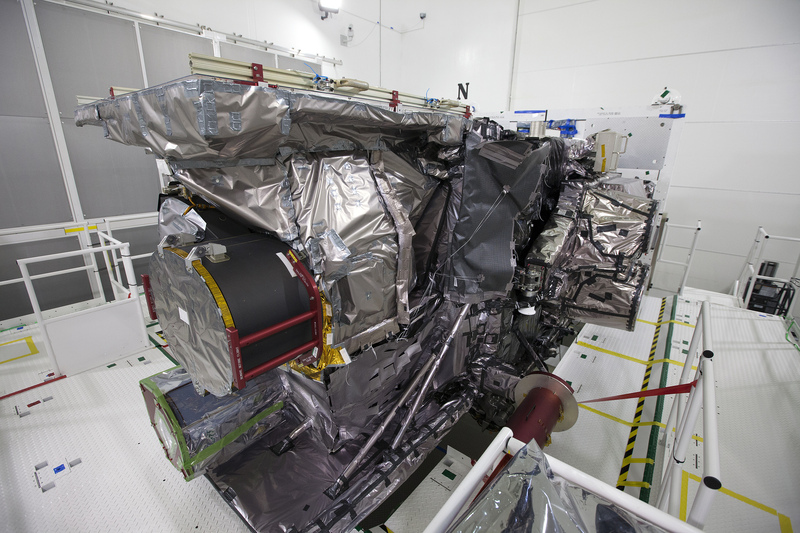 The instrument payload of the third generation satellites is comprised of a pair of Earth-facing instruments – the Advanced Baseline Imager & Geostationary Lightning Mapper; two sun-facing instruments – the Solar Ultraviolet Imager and Extreme Ultraviolet / X-Ray Irradiance Sensors; and two space environment sensors – the Space Environment In-Situ Suite and a Magnetometer instrument. 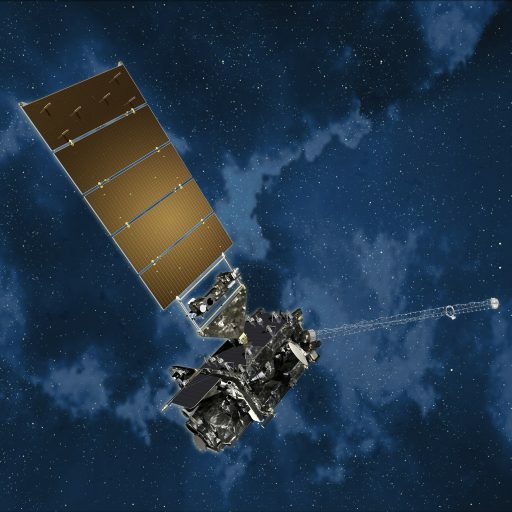 The new GOES Space Segment is comprised of two operational spacecraft located at 75° and 137° West in Geostationary Orbit, shifting the GOES-West location from 135° to de-conflict with other satellite systems using X-Band communications. Two in-orbit storage locations at 90° and 105° West are available. 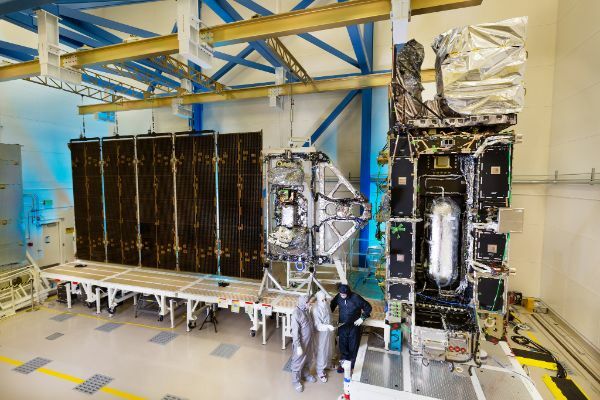 Overall, the fourth-generation of GOES offers a higher uptime than previous satellites with only 120 minutes of downtime per year for planned maintenance operations. 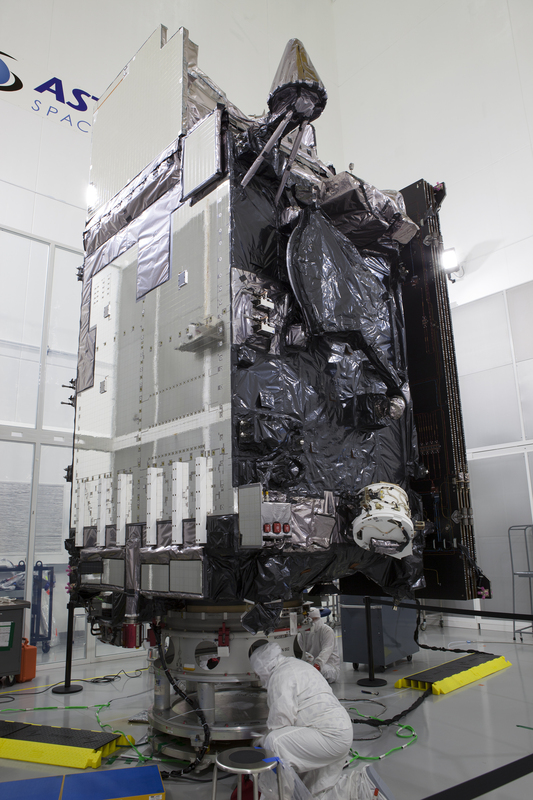 GOES-R passed its Critical Design Review in 2012 and construction began shortly thereafter with the first modules being delivered to Lockheed for integration in the first half of 2014 including the system module and propulsion module. System Integration Reviews were held in July 2014 to verify the space and ground systems were on track per the program schedule. Mating of the systems and propulsion module was completed in September 2014 marking the completion of the core spacecraft for the installation of the six instruments and their support equipment. All six instruments were integrated by January 2015 and the assembled satellite entered environmental testing in May, putting the spacecraft through vibration, acoustic, vacuum and thermal testing – completed in a 8.8 by 19.8-meter vacuum chamber exposing the structure to the extreme cold and hot temperatures experienced in space. The Flight Operations Review was held in November 2015 and mission teams headed into operational rehearsals and mission simulations to close out the year and enter 2016. 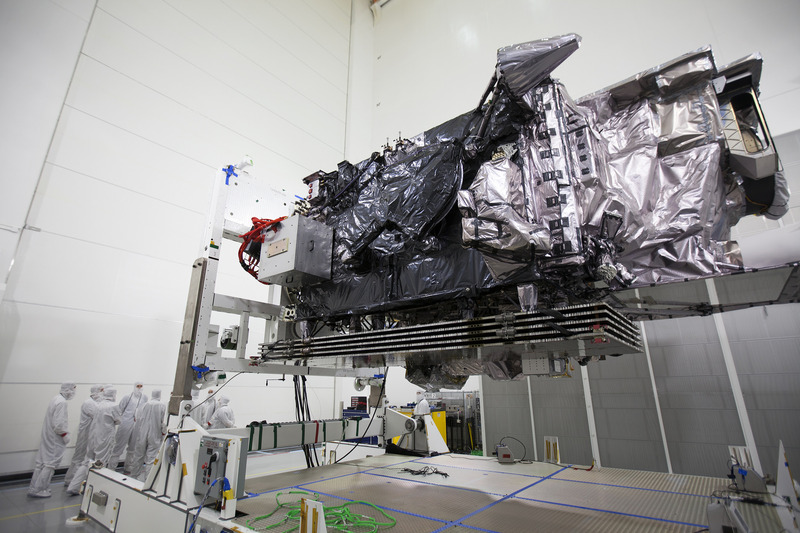 GOES-R was delivered to Cape Canaveral in late August 2016 to complete final processing before receiving a smooth ride into orbit atop an Atlas V rocket on November 20, 2016.